The Parcel Metro service is a network of local and regional delivery vendors and crowd-sourced drivers and vehicles designed to ensure flexibility and capacity in last-mile deliveries, according to DHL. It has begun operating in Chicago, Los Angeles and New York, and DHL plans to expand the service to Atlanta and Dallas in the second quarter, San Francisco in the third, and Washington, D.C., later this year. DHL’s software platform allows it to find the best drivers for each route. Customers can choose from several delivery time windows, including two-hour, same day and next day, as well as their preferred delivery address. Consumers can use a mobile device to track shipments in real-time, send instructions to their courier, reschedule a delivery and rate the experience. Retailers can customize the mobile interface with their own branding. “DHL Parcel Metro is part of a number of innovations we are actively implementing, including augmented reality glasses for greater pick accuracy, ‘follow me’ robots and autonomous vehicles,” said Charles Brewer, CEO, DHL eCommerce. E-commerce sales grew 16% in 2017 while total retail sales grew 4.4%, according to the U.S. Census Bureau. 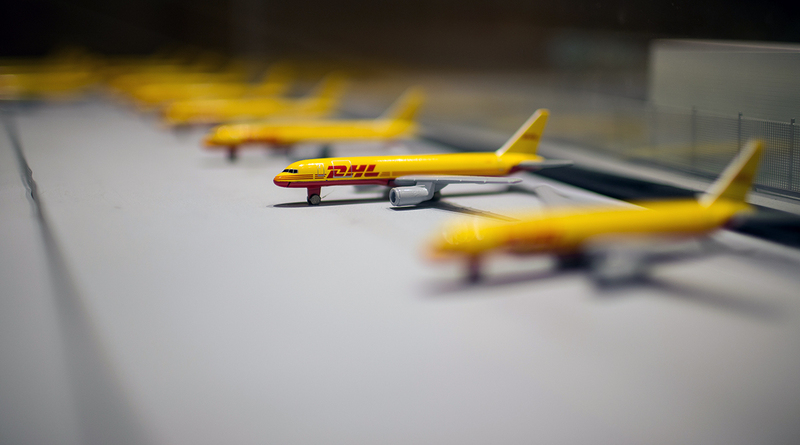 DHL Supply Chain ranks No. 4 on the Transport Topics list of the 50 largest logistics companies in the U.S. and Canada.